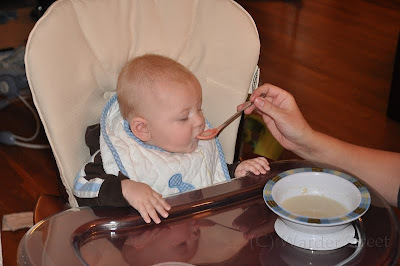 Baby William: First Solid Food! 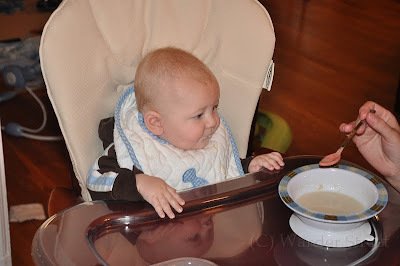 William had his first taste of rice cereal yesterday. 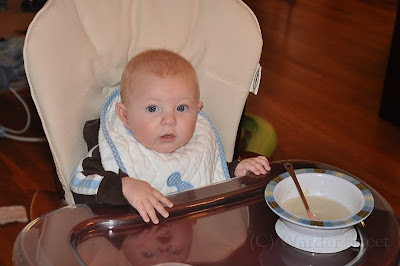 (Organic brown rice cereal with probiotics and DHA!) 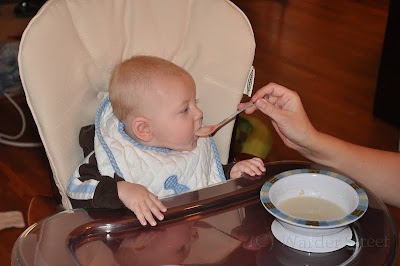 He didn't eat a lot of it, but he didn't seem to dislike it. In fact, it didn't seem to phase him at all. 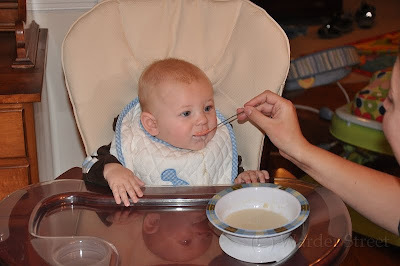 He kind of acted like, "Yeah, I am eating solid food. What's all the fuss about?" Of course, it could be because Taylor was running around taking picutres at every angle to document this historic event! Is this really what I've been waiting for?